The Moto G7 was announced by Motorola today, and it wasn’t alone. The company is launching the Moto G7 Power, Moto G7 Play and Moto G7 Plus, too. This is the Chicago-based company’s line of budget phones, and like last year’s Moto G6, they’re all looking to top our best cheap phones list in 2019. It’s a scramble. Wait, this isn’t a lock. We’re still reviewing these Android Pie phones after some brief hands-on time, and Motorola topping out best budget phones list isn’t a sure thing. Why? The Moto G7, for one thing, is $50/£20 more expensive, and there’s more cheap phone competition than ever from Chinese manufacturers. The Moto G7 has the look of a more expensive flagship phone thanks to its 6.2-inch Full HD+ display, and fits that screen into a fairly compact phone body. Here’s an amazing stat about this phone: it has a bigger screen than last year’s Moto G6 Plus with a 5.9-inch display, yet is a tad smaller than the G6 Plus dimensions. How? Its teardrop notch cutout at the top of the screen chips away at the needless black bezel. Want more? It’s dual-lens camera and new photo software tricks make it a convincing buy if you’re okay with no NFC, wireless charging or waterproofing. 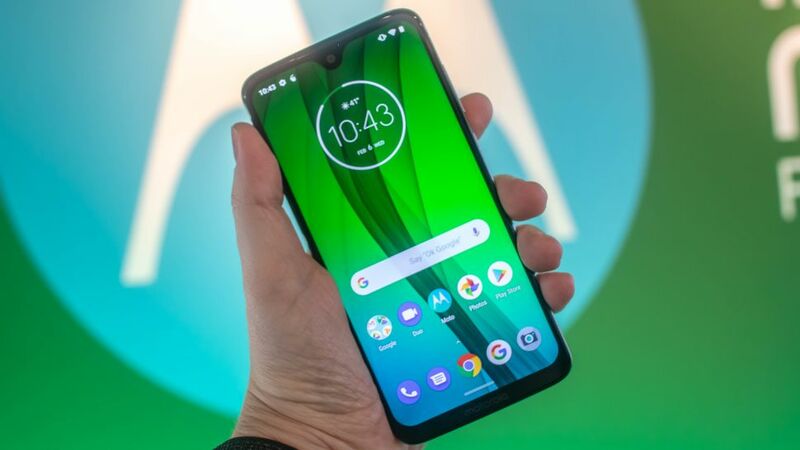 The Moto G7 is launching for $299, £239 (€249.99 in Europe – we’re still waiting on Australian and other prices), and in the US will be made available unlocked at stores like Amazon, Walmart, Best Buy and B&H Photo. Later it’ll be sold through Google Fi, Republic Wireless and Ting. In the UK meanwhile, it will be am Amazon exclusive, with a Moto G7 release date of March 1. The Moto G7 Power and G7 Play are targeting fairly different audiences, while the Moto G7 Plus is launching in a few select countries (so literally a different audience). The G7 Power is all about its 5,000mAh battery capacity, with Motorola claiming a full three days of battery life. That’s incredible if it’s true. It too has a 6.2-inch screen, but only an HD+ resolution, a bigger notch cutout at the top, and 3GB of RAM, not 4GB. The G7 Power price is just $249, £179. The G7 Play is Motorola’s cheapest budget phone in the G line for 2019. It has the same Snapdragon 632 chipset and rear fingerprint sensor as the other Moto phones, but only 2GB of RAM and a smaller 5.7-inch HD+ display. It skimps on some of the extra of its more expensive variants to meet its $199, £149 price point. The Moto G7 Plus is launching in Brazil and Mexico today, with Europe scheduled for mid-February, and not coming to the US. That’s a shame because it has Motorola’s best camera among the G phones thanks to a 16MP camera. It also has a 27W TurboPower charger and superior Snapdragon 636 chipset. Like the Moto G7, it has a 6.2-inch screen, so it’s like a souped-up version of the G7. The Moto G7 Plus release date is March 1 in the UK, where it will set you back £269. 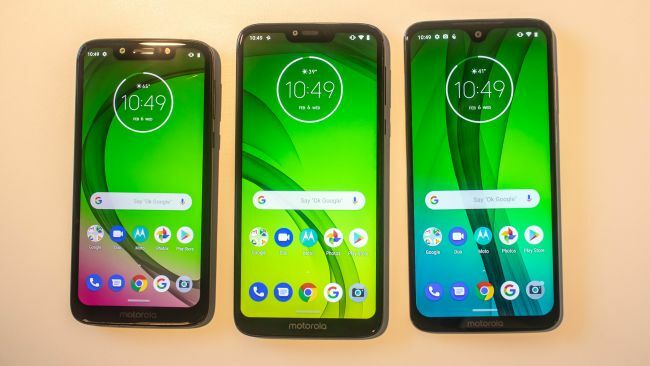 Motorola insists on launching four phones in one season, and while that seems like overkill to some who only search for top-of-the-line smartphones, it might appeal to a specific audience that doesn’t want to pay huge amounts for the iPhone XS or Samsung Galaxy Note 9.